Overclocking is basically making a CPU, GPU or less commonly RAM run faster than its factory setting. This is done by increasing its clock cycles so it can handle more work in less time resulting in better performance. That means that it is possible to get additional speed without buying new hardware. 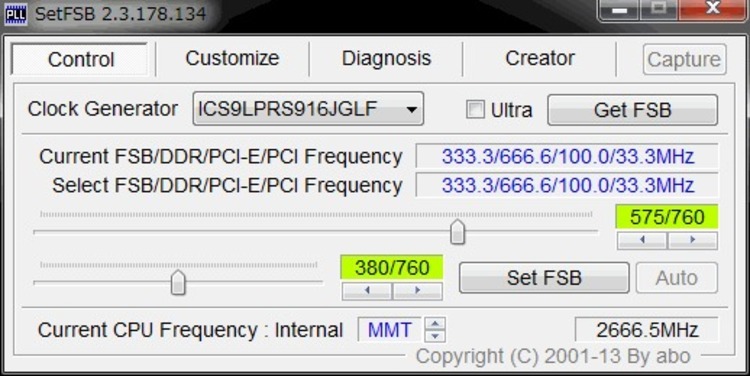 On the flipside, overclocking increases the rate at which the component heats up, so faster fans or more efficient heat sinks may be required meaning more noise or added expenses. I have overclocked every single desktop I’ve had and have benefitted from it in terms of better performance, added speed and even running games that had minimum specifications above that of my computer’s. Not all computers can be overclocked and it is usually recommended not to overclock laptops since some may overheat at even factory default settings and they tend to have worse heat dispersion systems that are not upgradable. In some cases, the manufacturer may also lock the CPU multiplier, which is the variable that is increased when overclocking. Overclocking would also reduce battery life of the device since more power is consumed. 1. When the computer displays a lot of numbers and text on a black background when starting up, press the key to enter BIOS. This key is mentioned at the bottom of the screen and is usually <Del> or <F10>. 3. The calculation for clock speed is usually done with a basic speed that is multiplied by the multiplier or clock ratio. All this information is displayed in the BIOS and it is this multiplier that one has to increase to overclock the CPU. 4. Then the front side bus (FSB) clock rate can also be heightened for improved speeds, as can memory timings. 5. Finally, the GPU clock rate may also be increased. 6. If the Voltage is set at the factory default, then overclocking is severely limited so you might want to set the voltage to auto so that this limitation is removed. Increasing the voltage however comes with its own set of problems. In general, overclocking tends to increase the temperature linearly when the voltage is set to the standard and quadratically as voltage is increased, so more fans aren’t usually required unless one is increasing the voltage, just increasing the airflow by upgrading the speed may be enough, but this comes at the cost of higher noise. In extreme cases, a water cooled system may be used. If all that sounds too complicated, then there are also many programs available that allow you to overclock from inside the operating system but most of them have the limitation that they only work with a certain range of chipsets or have limited options. 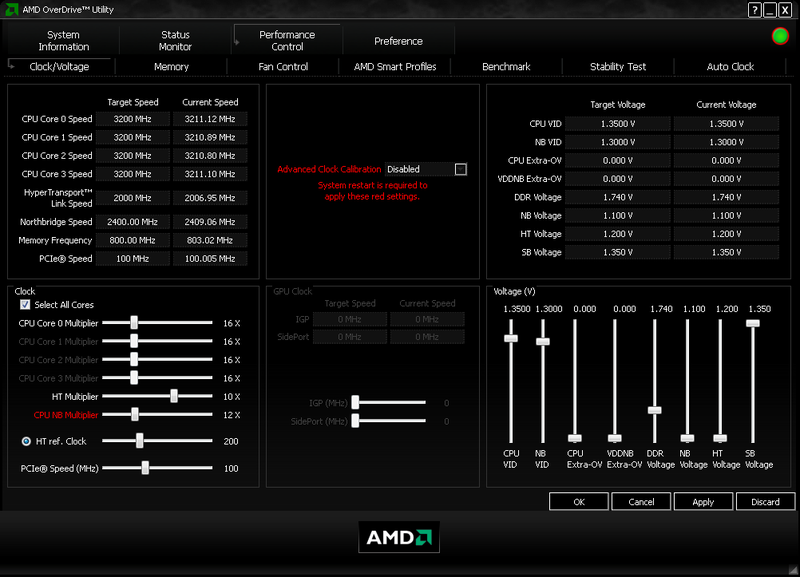 Some of the best include AMD overdrive (only for AMD), Intel desktop control center (only for Intel) and CPU tweaker. Set FSB works for changing bus speeds. For graphics card, NVidia gives nTune. Another problem with such software tends to be that they limit the maximum speed that can be achieved, a limitation that can be overcome when overclocking from the BIOS. Since temperature is no longer regulated, it becomes necessary to monitor the core temps and fan speeds manually, setting alarms off if they overheat. Two great pieces of software for this are CPUZ and GPUZ which monitors the temperatures of the CPU and GPU respectively. In some cases, undervolting i.e. decreasing voltage for longer battery time and less heat-noise at the expense of performance may be done to make laptops last longer or to prevent overheating. Overclocking is a long and arduous process that needs to be fixed manually each time. Even now, it takes me about three days or so to make sure a system is overclocked to its maximum stable limit. Here, the basic idea is to take the PC to the point of failure and then tone back a little from there. Extreme overclocking can result in system instability with errors unnoticed by the operating system, in rare cases causing the component to overheat and eventually get destroyed. So, to make sure the system is stable, it is usually run through some stress tests. Some of the best software in this field is Prime 95, Memtest86+ and IntelBurnTest. To test out the graphics card, 3DMark06 is brilliant, as is the newer FurMark. If the PC runs through these for, from a few hours up to a few days error free, then the system can be deemed stable although it may still have minor errors from time to time. I’ve found that overclocking can only show a noticeable boost in speed if you know the weakest component of your system. If your Graphics card is below par, then overclocking your CPU won’t help because it is being bottlenecked, but if done intelligently, overclocking can not only help improve speeds, but also minimize costs.